The Cra-Z-Loom has 3 columns of 14 pegs, for a total of 42 pegs. The loom is molded from a single piece of plastic with the columns stagger to one another. The kit comes with the loom, a loom tool, 600 elastics and "S" clips. 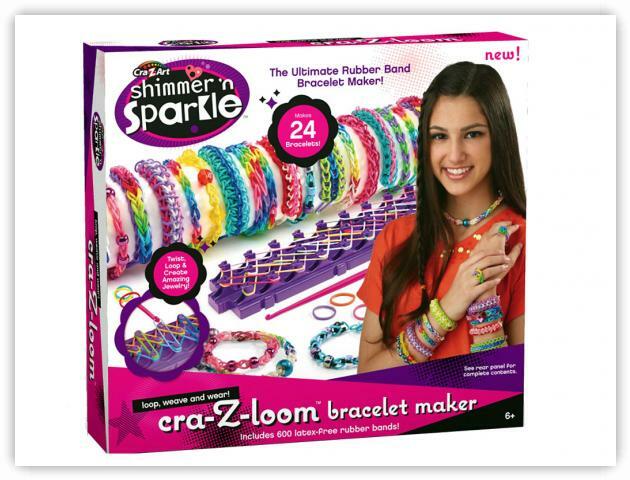 The Cra-Z-Loom is available through Toys-R-Us.